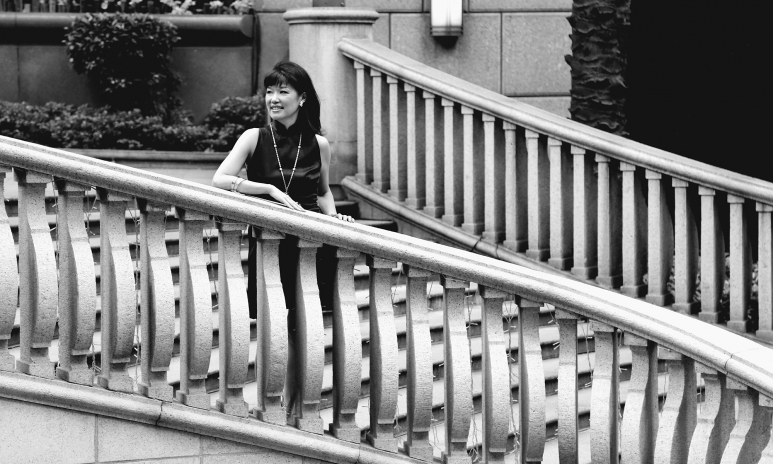 If someone were to publish a guidebook to success for women in the workplace, Su-Mei Thompson would be on the cover. Before devoting her time to NGO work, she’s had an illustrious career with top positions at companies such as Disney, The Financial Times and Christie’s. The CEO of The Women’s Foundation instantly draws people in with a warm smile and engaging eye contact, and possesses the body language of someone who radiates confidence. Thompson is certainly not alone: according to a Hewlett Packard internal report quoted in the Harvard Business Review, women will only apply for jobs if they feel 100% qualified, as opposed to men, who feel confident enough to apply at a 60% match. Planting the seed for that sense of inferiority is the lack of portrayal of high powered women in media: according to a 2014 statistic from the Geena Davis Institute on Gender, only 13.9% of female executive leaders are seen in the media, whereas 24% of executive leadership roles in real life are occupied by women. 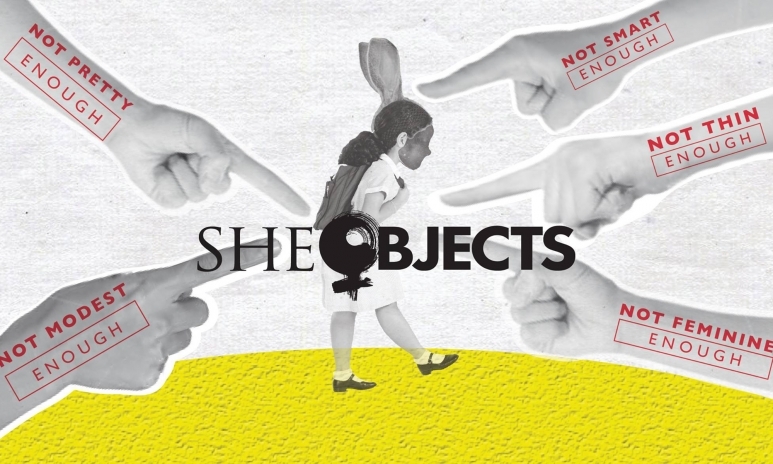 Aiming to attack the root causes of such issues, the foundation has commissioned She Objects, a documentary that explores the correlation between the portrayal of women in media and the leadership ambition gap, along with the media’s impact on self esteem issues and violence against women. 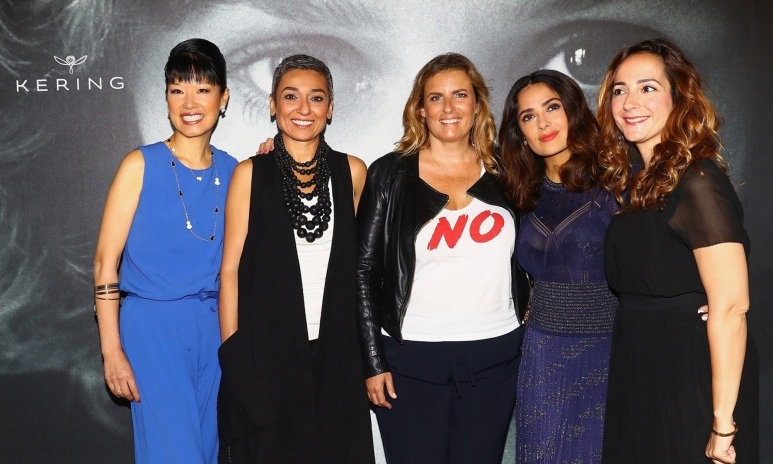 After making a splash at the Cannes Film Festival — where Thompson joined Salma Hayek Pinault, Zainab Salbi and Lisa Azuelos in a panel organised by The Kering Foundation — the film is set to screen in Hong Kong at a red carpet premiere on June 14. The event will be an opportunity for media outlets and Key Opinion Leaders to take a pledge to safeguard the positive portrayal of women and promote diversity on all fronts. Her assessment couldn’t be more accurate: according to a 2015 study conducted by GfK Germany, people in Hong Kong ranked in the bottom three when it came to satisfaction with their appearance. Over 70% of teen girls say that imagery from magazines influences their ideal body shape, which inevitably leads to anxiety and lowered aspirations of themselves. The figures resonated deeply with Thompson, who is a mother of two daughters. “My older daughter, Tallulah, is so easily embarrassed and always imagining that everyone is staring at her,” she says. “Looking into why she’s not alone in this project was really eye-opening for me.” The film is laden with similarly harrowing soundbites of teenage girls sharing their own experiences, from getting body shamed by their peers to skipping school due to lack of confidence in how they look. Leading the charge as the director is 27-year-old Nicola Fan, a fresh talent whom the organisation took a leap of faith with. The film went above and beyond in featuring women whose anecdotes brought the theme to life: Joyce Cheng, the scion of legendary comedienne Lydia Shum who grew up ridiculed in the media for being overweight, laid her personal struggles bare. “For people to notice that I love singing from the bottom of my heart, I had to do the traditional thing — lose weight,” shares the talented pop star in the documentary. “Eating disorders and low self esteem are issues that transcend class and education,” says Thompson. “The good news is: even the smallest interventions have a positive and sustainable impact on children’s confidence and aspiration.” A partnership with the Institute of Asia-Pacific Studies of the Chinese University of Hong Kong to create educational materials related to the film hopes to accomplish just that. At the recent Cannes Festival, Thompson and her team tracked down movers and shakers such as Chris Lee and François-Henri Pinault and encouraged them to pose with a sign printed with hashtags calling attention to the project on social media. “We were asking all sorts of people to take photos with the sign: studio directors, big names — even two guys who hitched our limousine,” laughed Thomspon. With such a go-getting visionary at the top, consider half the battle of getting the media’s attention won. Hong Kong Tatler is a media partner of the event.